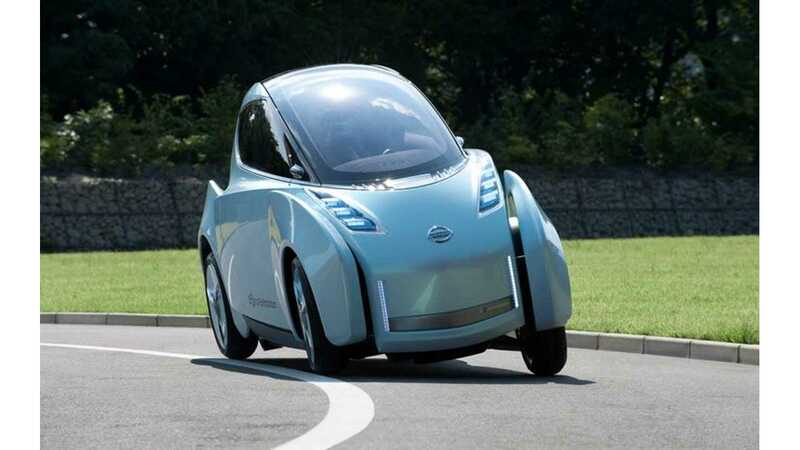 Nissan Plotting Upscale Renault Twizy Rival? Will it be New Mobility Concept-based? Land Glider Concept-based? Or something never before seen? We're not sure yet, but we do know that Nissan is reportedly working on an upscale version of the urban electric Renault Twizy. The hot-selling Twizy is a hit in Europe and it seems unlikely Nissan would compete against it there, so perhaps this upscale urban electric is US-bound. Probably not, but we can still dream, right? 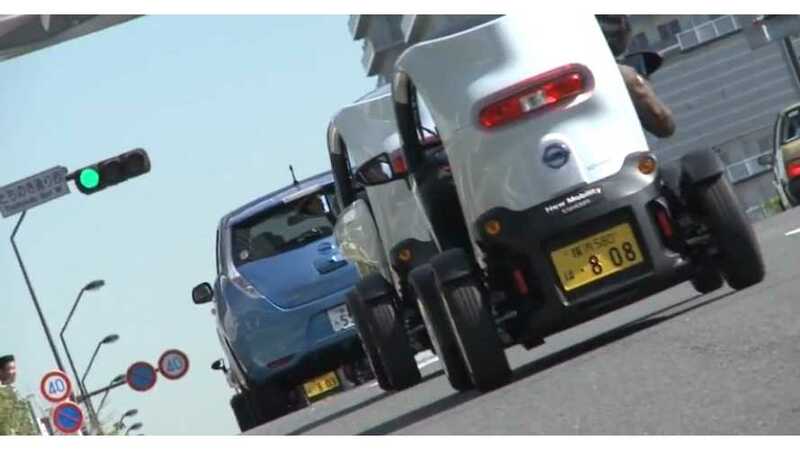 The most likely course of action is that Nissan will market this unknown Twizy rival in Japan. 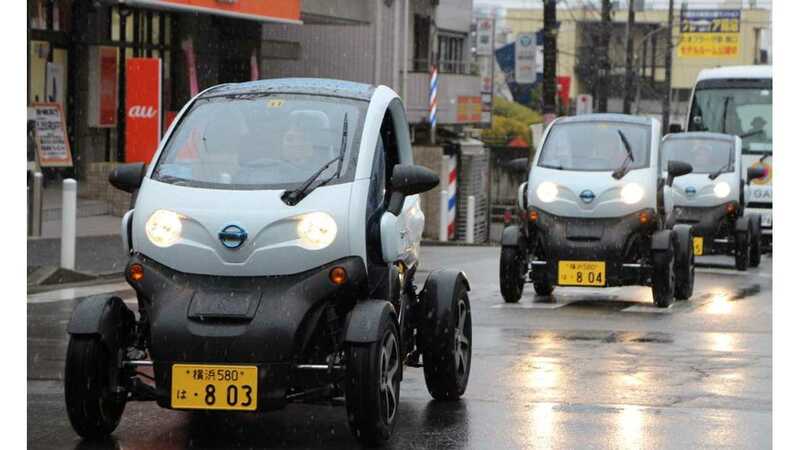 Etienne Henry, Nissan's head of product strategy and planning, told Automotive News Europe that Nissan's Twizy rival will improve upon the originator. "...the new car will combine the compactness and agility of a motorcycle with the weather protection and protective shell of a conventional car." Weather protection is one area in which the Twizy struggles for obvious reasons (windows being optional is certainly one reason). So, what'll it be? The New Mobility Concept seems the obvious choice, especially since it's almost a carbon-copy of the Twizy. A few tweaks here and there would make the New Mobility Concept ready for primetime. On the other hand, the Land Glider Concept is far more unique and certainly fits the "agility of a motorcycle with the weather protection and protective shell of a conventional car" mentioned above. "That was a very interesting concept with very challenging and meaningful technology." If Nissan does indeed move forward with plans to build an upscale Twizy rival, would it be wise for the automaker to put it on sale in the US? Would you buy one?